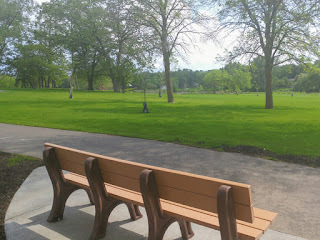 New Hope Women of Today: The Lynn Struck Memorial Bench. Lynn Struck passed away October 15, 2014 surrounded by her loving family, after battling cancer for 3 years. In her 57 years she touched the hearts and minds of people too numerous to count. She was a loving wife, mother, grandmother and friend. Lynn was an active, contributing member of both civic and religious organizations including mission trips and religious education at the House of Hope. Lynn had the biggest heart and especially loved kids. She was a home child care provider for many years. She also volunteered her time to help at the Crisis Nursery, Ronald McDonald House, Red Cross Babysitting Clinic, local schools and more! In December of 2014 New Hope Women of Today started the process to place a memorial bench at Northwood Park to honor Lynn’s many years of faithful service to the community. Lynn’s Bench has now been placed at its permanent home at Northwood Park along the walking path facing the pond and a newly redesigned playground. It is a beautiful location to gather and reflect. A simple community dedication will be held on Thursday, June 1, 2017 at 6:30 pm for all to gather and share stories about Lynn. Ice Cream treats and beverages will be provided for those in attendance. 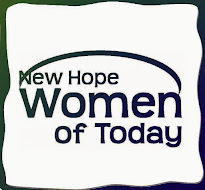 The New Hope Women of Today would like to thank the many members of our community that made personal donations, the NHWT 2015 Annual Convention Committee, the Minnesota Women of Today Foundation, and City of New Hope for their support and contributions to this project. 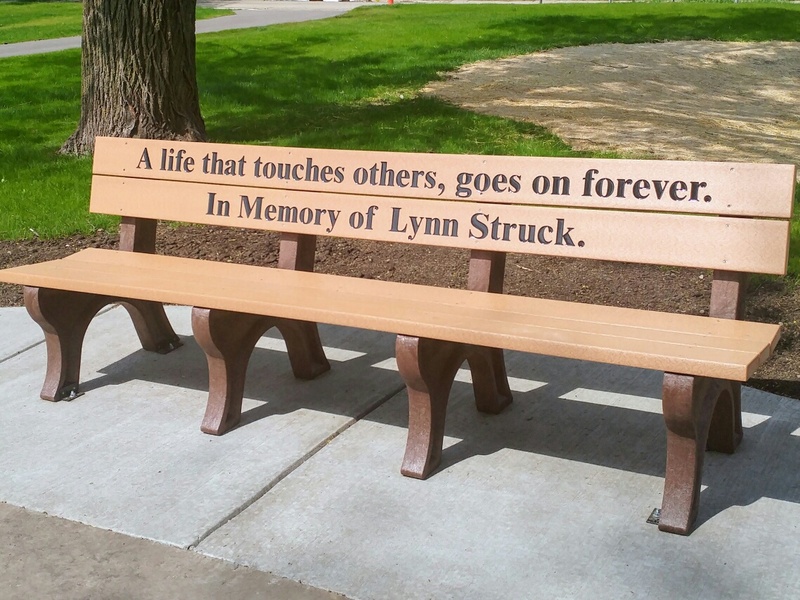 With the help of our many community sponsors, along with the placing the bench we were able to donate $900 to the Frauenshuh Cancer Center at Park Nicollet in Memory of Lynn Struck.